Getting engaged is one of the most special moments in everyone’s life. Who doesn’t want to flaunt the engagement ring, especially when it is one of the world’s most expensive rings? However, these expensive rings are mostly worn by celebrities and royal personalities as they can acquire it by the wealth, they possess. 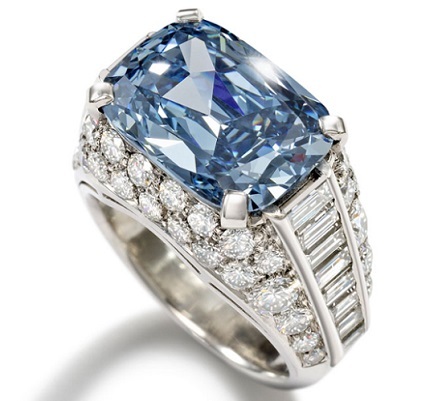 The most expensive engagement ring in this world is the Blue Diamond ring by Bvlgari. This ring has a 5.30-carat blue diamond encrusted on it while surrounded by brilliant cut diamonds and baguette cut diamonds on both sides of the ring. The Blue Diamond is one of the rare precious stones as it occupies only 1% of the total diamond mined across the world. The ring was purchased by ‘Graff Diamonds’, one of the most known collectors of gems, for a price of $9.49 million, in April 2013. Besides Blue Diamond ring, there are several other expensive rings. Here, we have prepared a list of the world’s 20 most expensive engagement rings. Go through it. The world’s most expensive engagement ring is donned by the famous American singer, Beyonce Knowles. An extravagant personality, Jay Z, got engaged to his girlfriend and gifted her beautiful diamond ring, designed by Lorraine Schwartz. It is a 20-carat platinum ring with an 18 carat diamond on it. The valuable ring costs $5 million. 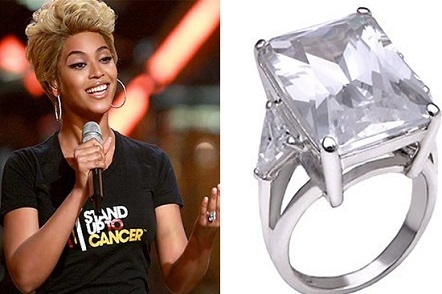 Jay Z is even planning to make a copy of this ring worth $5000 so that Beyonce can wear it during her stage performances. Though the second most expensive engagement ring was owned by Paris Hilton, it still didn’t lead to a happy married life for her. Her Greek boyfriend, Latsis, gifted her with a big ring studded with 24-carat diamonds on it, worth $4.7 million. But, she found it to be bulky and even got herself a simplified version of the ring from Cartier. Though she’s worth it, as her relationship ended with Latsis, she auctioned the expensive jewelry for charity.